Under the Health (Regulation of Termination of Pregnancy) Bill 2018, abortion remains a criminal offence outside of the parameters laid down by the legislation. In this post, we explain why abortion must be decriminalised and treated like any other medical procedure. Abortion is recognised as an essential aspect of healthcare by the World Health Organization. Yet, it is seen as a criminal issue by many governments around the world, including here in Ireland. In this blog post we discuss the criminalisation of abortion in Ireland, North and South, and what we can do about it. If something is criminalised, it means the State can prosecute someone for taking part in that activity and impose punishments such as prison sentences. Decriminalisation happens when the law is changed so a particular activity is no longer a crime. For example, homosexuality was decriminalised in Ireland in 1993. When something is decriminalised, it can still be regulated and overseen by a relevant authority to ensure it remains safe. For abortion, decriminalisation would mean that nobody could be sent to prison for having an abortion or helping someone obtain one, but there would still be regulations and medical guidelines in place. What is the “chilling effect” of criminalisation? When doctors are criminalised by abortion laws, they feel a “chilling effect” that can prevent them from giving the best standard of care out of fear of prosecution. When a doctor has to decide whether to provide an abortion, the fear of going to prison might make them reluctant to provide an abortion in cases where the law is unclear. They might decide not to provide an abortion and endanger the health or even the life of the pregnant person by denying care. Rhona Mahony, Master of the National Maternity Hospital, testified to the “chilling effect” at an Oireachtas Committee last year saying, “I am not aware of any other area of medicine where people are charged with making complex medical decisions under the shadow of a custodial sentence of 14 years”. Will abortion be decriminalised in Northern Ireland? In 1861, the UK introduced a maximum sentence of “life in penal servitude” for abortion in the Offences Against the Person Act, which still applies in Northern Ireland today. Successive governments in both Belfast and London have failed to remove this archaic law, despite public support for a change. This law is still having a very real and negative impact today. In 2016, a twenty-one-year-old Belfast woman received a suspended sentence for having an abortion with pills. Another Northern Irish case which is still ongoing involves a mother being charged for ordering safe but illegal abortion pills for her teenage daughter. Now that we’ve repealed the 8th, will abortion be decriminalised in the Republic of Ireland? The current abortion bill includes many restrictions on abortion, some which go against best medical evidence. If a doctor provides an abortion to someone beyond those restrictions, for example, without observing the harmful mandatory three day waiting period, they could face up to 14 years in prison. The “chilling effect” discussed above will become a barrier to good quality abortion care. The continued threat of a 14 year prison sentence will have a profoundly negative impact on the abortion care offered by doctors offer to patients. The same 1861 law applied in the Republic of Ireland until 2013, when the Protection of Life During Pregnancy Act (PLDPA) was adopted to allow for a handful of life-saving abortions per year and changed the potential penalty to 14 years in prison. Despite opposition to the criminal sanction, the government at that time argued that abortion must be criminalised with a substantial sentence because of the 8th Amendment in the Irish Constitution. But we fought back. On the 25th of May this year, Ireland repealed the 8th Amendment by a huge majority, finally allowing for legal abortion care. However, the legislation that replacing the PLDPA has carried over the framework of criminalisation and the infamous 14 year prison sentence. The Bill says an individual who needs an abortion will not be subject to any criminal penalty, but anyone who helps them might be. If, for example, somebody sources safe but illegal abortion pills online for their friend or family member, they would be committing a criminal offence. Abortion could be decriminalised across the island of Ireland if politicians do the right thing. If you live in Northern Ireland or any part of the UK, write to your local MP asking them to support any efforts to repeal sections 58 and 59 of the Offences Against the Persons Act. 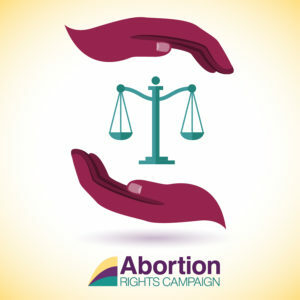 If you live in the Republic of Ireland, write to your local TDs asking them to support an amendment to the Health (Regulation of the Termination of Pregnancy) Bill when it comes up for review, to remove all criminal offences from our abortion law. See more information here. We all need to speak up to ensure abortion is not a crime anywhere in the island of Ireland.